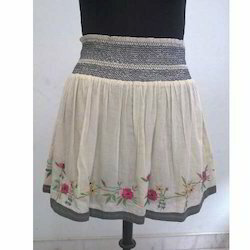 Our range of products include embroidered short skirt, printed short skirt, checks short skirt, short checks skirt, printed khadi short skirt and embroidery voile skirt. We are a leading company involved in manufacturing, supplying, wholesaling, and exporting an extensive range of Ladies Short Skirt. These Ladies Short Skirts are in great demand due to its durability and high-quality. 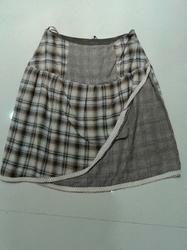 Our experts use best quality material in manufacturing these skirts which are skin friendly in nature. Moreover, we also assure timely delivery of our products. 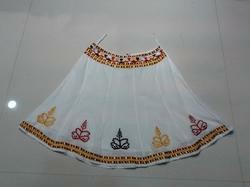 We are counted amongst the top companies involved in offering a wide range of Printed Short Skirt. These are highly acclaimed among our clients due to their fine quality and colourfastness. Clients can avail these in different designs and colours as per their requirements. Our entire product range is shrink resistant in nature and is skin friendly also. 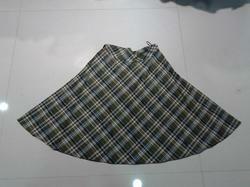 Being a client centric firm we are involved in offering a wide range of Ladies Skirts. Our product range is acceptable by our clients owing to the quality features such as color fastness, shrink resistance and skin friendly. These are ideal to wear in summers and also provide a great comfort to the wearer. 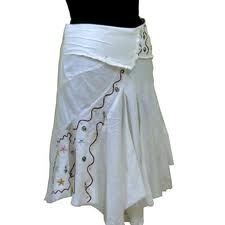 These skirts are easy to wash and are skin friendly in nature. Moreover, these can be availed at industrial leading prices. 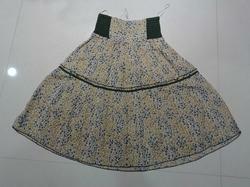 We fabricate a variety of western wears for the women of present day. Our strict quality processes clubbed with modern style brings out a variety of wearables which are comfortable and make a lady feel special.